The ruined church at Kilnave stands on the shore overlooking Loch Gruinart, just a few miles up a narrow road from the nature reserve. 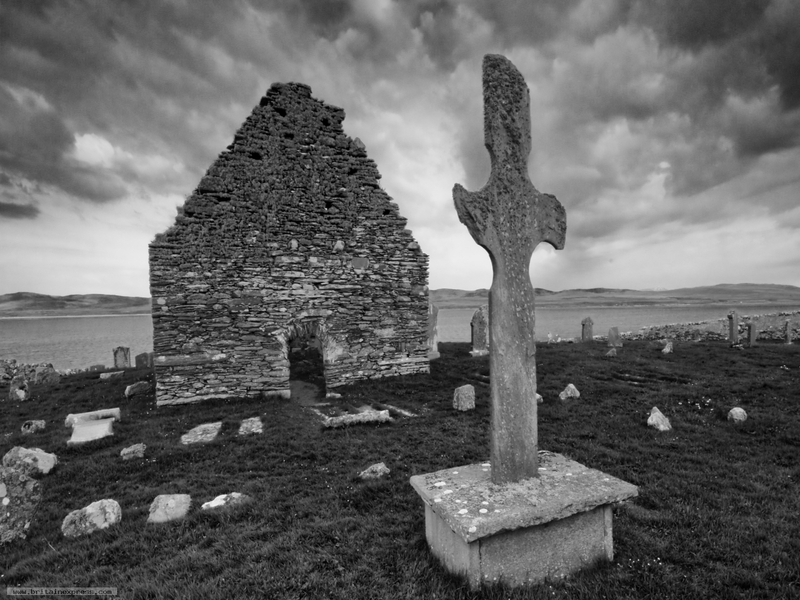 The cross is probably 8th century, and is badly weathered, which gives it a twisted, gnarled look that is actually pretty appealing. I was aiming for a photo of the cross lit by late evening sun, but the day turned dark and gloomy, which seemed to make this black and white format a much better choice.